Dear Bully: A Collection of Poems about Bullying, by Joyce Fields. 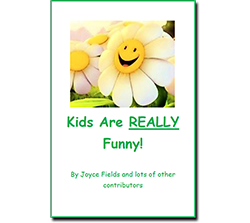 This book is written for the bullied and the bully. The poems capture the emotions associated with bullying, with the hope that the bullied will be encouraged and strengthened, and the bully will be discouraged and inspired to become part of the solution, instead of part of the problem. Targeted for sixth grade and above. 54 pages; $7.99, plus shipping. Loved this book. This book should be in classrooms across the country. These poems will help give children the courage to stand- up against bullies everywhere. Thanks for leaving a comment, Tee!! Love you! !